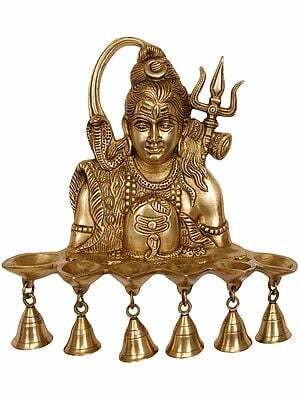 Ghanta or bell is an indispensable part of ritualistic worship. No worship can be started or performed without sounding it first. It is said to embody in itself all the musical instruments. 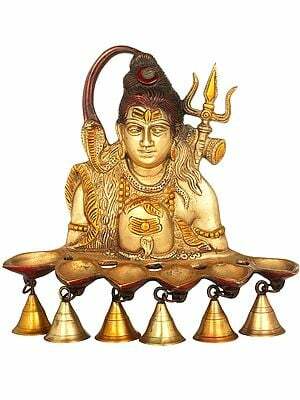 The sound of a bell is Pranava or Onkara, perceptible to the ears. It is generally made of bronze. 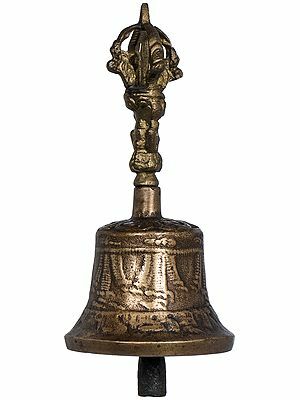 The body of the bell represents Ananta (the divinity of time) and the tongue, Sarasvati (the goddess of speech). 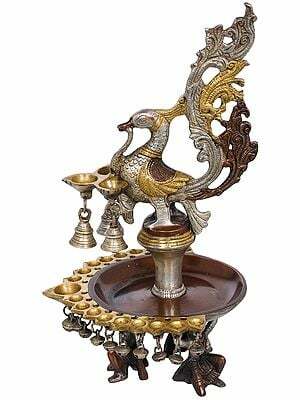 The handle signifies pranasakti or the energy of prana. 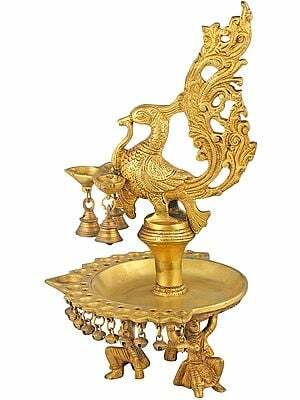 Usually, the top of the handle is adorned by the images of Hanuman or Garuda or a cakra (discus) or Nandi (the bull-mount of Siva) or a trisula (trident). When the bell is sounded in puja or worship it is an invitation for the gods to come and a warning for the evil spirits to depart immediately. The sound of the bell is said to rouse the power of the mantras used in worship. Hence, it is sometimes called ‘mantramata’ (‘mother of mantras’). The bell is sounded during puja and homa at various stages: avahana (inviting the deity), snana (giving bath to the image or the symbol), dhupa (waving of incense), dipa (waving of a lighted lamp), at the end of chanting of hymns, purnahuti (final offering) and so on. It is the usual practice to hang a bell or a few bells in a temple, in front of the main shrine. Devotees are expected to ring them as they enter. 8.5" X 5.8" X 3.0"